Healthy bodies are one of the keys to achieving healthy minds. To ensure our students are fueled for a full day of learning, breakfast and lunches are served at the elementary and jr./sr. high school. 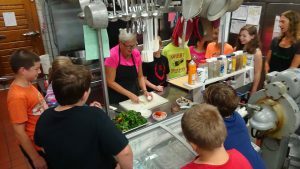 Our Food Services Department operates Cafes in both buildings and focuses on nutrition and healthy eating habits, in collaboration with Bassett Healthcare’s School-Based Health Center’s 5-2-1-0 program. The cook-manager oversees operations at the Cafes. The United States Department of Agriculture and New York State understands the importance of healthy meals for growing children. We encourage all Cooperstown Central School District families to apply and see if they qualify for free or reduced-priced meals at school. Students that qualify for free or reduced lunches, also qualify for free or reduced breakfasts. Please note that all information received on applications is strictly confidential and students who receive a benefit are never identified. 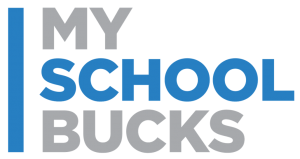 MySchoolBucks is the online way to monitor balances, setup purchasing restrictions, and view student purchases. This system replaced My Meal Money in February of 2018, and My Meal Money is now defunct. Transactions within MySchoolBucks will synchronize with the point-of-sale system within fifteen minutes of completing. Students can purchase meals with cash or checks at the register; however, MySchoolBucks is required for debit and credit card transactions. Purchases made with cash or check, are still reflected in the purchase history on MySchoolBucks. Please note, that sales history prior to February 14, 2018 will not be shown in MySchoolBucks. If you would like to obtain the prior history, please call the cafeteria for a printed or digital copy from the older system. Add your students using their school name and student ID or birthday (staff should use their employee ID). If you have any technical questions or inquiries, please visit www.myschoolbucks.com and click “Help” or call MySchoolBucks Customer Support at 1-855-832-5226. If you need help finding your child’s student number (student ID/lunch number), that can be obtained by calling the Counseling Office or accessing the Student-Guardian Portal. Alternatively, you can use their birthday for verification. If your student has dietary restrictions, please communicate this directly to your child’s building nurse. Once this information is received, it will be passed to the Food Services department. Our point-of-sale system has allergy alerts built-in, to help provide warnings to cashiers of potential conflicts. This system is not designed to be relied on but does add an additional line of prevention to allergy attacks. If you have any questions or need to update your child’s dietary / allergies – please contact the nurse’s office in their building. Red Dye: pie and cake fillings, frosting, fruit candies, dairy products – such as strawberry milk, ice cream, yogurt, potato chips, cookies, breakfast bars, and gelatin. Reminder, even foods that are not red, may still contain red dye!